Your dehumidifier should be located in an area where the discharge airflow is not blocked. It best to place the dehumidifier on concrete blocks (hanging the dehumidifier can transfer noise to the space above). Locate the dehumidifier where it can be easily drained (a condensate pump can be added if drainage is not available). The unit should be level to insure no standing water is held in the internal drain pan. None of our dehumidifiers will have a bucket that needs to be dumped. They are all equipped with a drain hose (some will have a built-in pump). Locate the dehumidifier in a convenient location for humidistat adjustment and seasonal filter change /cleaning. Once your humidistat is properly set, you should rarely have to adjust it again. 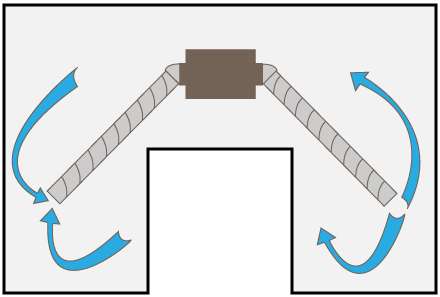 Place the dehumidifier in the middle of the "U", and separate the intake from the exhaust with flexible ducting. Place the dehumidifier at either end of the crawl space, and use flexible ducting to separate the intake from the exhaust. 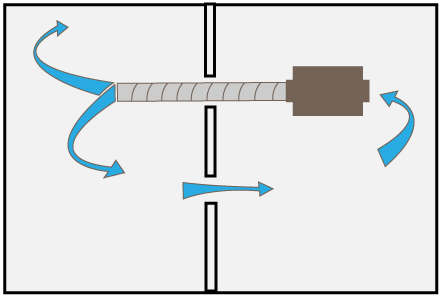 Use ductwork to extend the exhaust from one section of the crawl space to the other. 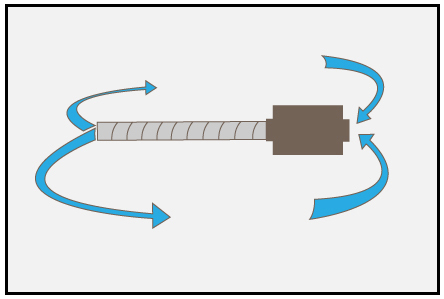 You may have to create holes in dividing walls to create a path for return air to circulate between the divided sections. Crawl space humidity should be kept between 50-60% rh. A wireless hygrometer can be used to keep an eye on the humidity without you having to enter the crawl. A data logger can be placed in the crawl and be set at various time intervals. It will record temperature and humidity history. It can then be removed and connected to your computer via USB to display a detailed graph.